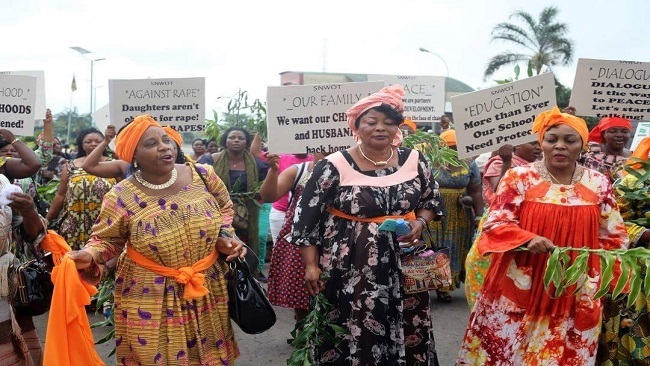 When ailing President Buhari and his consortium of crime syndicates in the Federal Republic of Nigeria abducted and forcefully handed over His Excellency President Sisiku Ayuk Tabe and his top aides to the Biya Francophone regime in Yaoundé, Southern Cameroonians both at home and in the Diaspora struggled to make sense of it. First, Ambazonians were shocked when they got an insight into what transpired at Nera Hotel in Abuja which was never broadcasted on Nigerian television. The Southern Cameroons Interim President Sisiku Ayuk Tabe and his cabinet were held in an undisclosed location in Nigeria by a regiment of the Nigerian secret service currently being controlled by President Buhari’s Fulani kinsmen before they were extradited to Yaoundé. 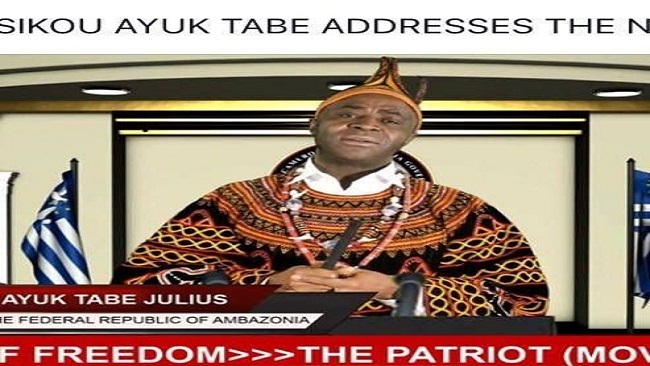 So far, a detail explanation for this bizarre sequence of events emerged from Cameroon Concord News Group reporters in Abuja and Yaounde and many in French Cameroun and beyond agrees on the reason behind President Sisiku Ayuk Tabe’s abduction: Biya regime at the Sisiku’s increasingly confident leadership in the quest for Southern Cameroons independence. Above all, the Federal Republic of Nigeria is under French pressure because it is the strongest British colonial force that can chase away the French and liberate the Francophone African countries whose central bank is the French treasury. The Interim Government of the Federal Republic of Ambazonia began life some few years ago as an administration formed to defy French Cameroun’s 57 years occupation of Southern Cameroons. Since the election of President Sisiku Ayuk Tabe as Interim President, the Southern Cameroons Interim Government has successfully rallied Ambazonians throughout the globe to join the resistance. 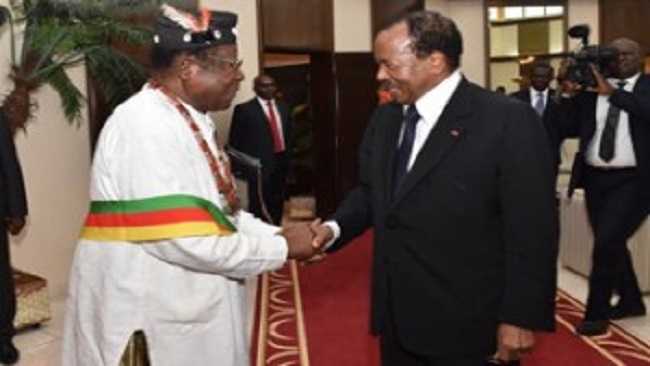 The Interim Government contended from the very inception of the Southern Cameroons resistance that its growing arsenal was solely for self- defense in the face of numerous French Cameroun army attacks and for three years running the Ambazonian Interim Government has not been defeated militarily by French Cameroun with support from France and CEMAC nations. The Biya Francophone regime with the support of the French government and diplomats from Francophone African countries such as Chad, Gabon and Congo-Brazzaville have marked the Ambazonia Interim Government as a potential threat to regional stability in the Gulf of Guinea and the CEMAC region, a status the Ambazonia Interim Government retains to this day deep within the UN, the EU and the African Union. The Ambazonia Interim Government’s political and self-defense power grew throughout the beginning of the Southern Cameroons revolution, but it was soon put to the test immediately after the arrest and extradition of President Sisiku Ayuk Tabe. As French Cameroun political elites celebrated the criminal action that was jointly taken by the Biya-Buhari gangs, the Ambazonia Interim Government worked with the Ambazonia Self-Defense Council (ASC) to fend off French Cameroun sponsored groups such as the ADF of Cho Ayaba and Morisc of Boh Herbert trying to topple the Interim Government. Fighting alongside the Ambazonia Interim Government’s forces, the ASC came to play a critical role in the struggle and continues to do so. In the closed to three years since the Southern Cameroons war began, the Ambazonia Interim Government’s self-defense power has grown disproportionately. Even though the Interim Government is yet to secure unhindered access to arms supplies due to stone walls erected by the President Buhari administration and valuable field experience. Politically, however, the Ambazonia Interim Government has given the Biya Francophone regime a run for their money. Some unscrupulous Southern Cameroons political elites in the Diaspora have recently developed a greedy position towards the complex conflict. This has made the Ambazonia Interim Government too weak, both politically and militarily, to engage in a conflict with a neighbor supported by France and countries in the CEMAC region. Nonetheless, Acting President Samuel Sako Ikome and his powerful Communications Secretary Chris Anu are not sitting idle and watch Ground Zero fighters – fight alone to save the Federal Republic of Ambazonia. With Restoration Fighters on Ground Zero, the Ambazonian Interim Government has become something much more than a mere resistance body against French Cameroun occupation. The Ambazonian Interim Government now possesses power that is typically reserved for African states with backing from the West: the power to help regimes rise or fall even in Mighty Nigeria. If President Sisiku Ayuk Tabe wanted the Ambazonia Interim Government to stay in Nigeria and waged an armed struggle against French Cameroun, he would have done so immediately after he took over leadership of the struggle. That explains why Abuja invited him to the negotiation table but made a dramatic U turn and interfered so boldly and directly in the Southern Cameroons crisis. By arresting President Sisiku Ayuk Tabe and his top aides in Abuja, the God father of political Islam, President Buhari sought to pull the political rug from underneath Ambazonia Interim Government’s feet. The Southern Cameroons struggle is now in a critical position. If the Ambazonia Interim Government gives up its popular support, that will be the end of the show. But should it heed the ASC’s advice it will come out as a more powerful administration. Whatever the Ambazonia Interim Government does with the ASC, its ’s next move puts hundreds of thousands of Southern Cameroonians in Ambzonia, French Cameroun and Nigeria at risk.